Now anyone can buy copper flanges at the lower rate to upper rate from Sagar Prakash Alloys. We make use of these flanges which are suitable in coating technology and offering the flange with outstanding Corrosive resistance. These flanges are coated with copper suitable for the entire ultraviolet Radiation applications. While working with it, you don't need an insulator. Even, it is ideal for the hp copper applications, water as well as gas. This type of product is known as flange adaptor and there are total 4 bolt holes in it. Its temperature range from -10degree Celsius to +110 Degree Celsius and +90 degree Celsius too. Its working pressure is about 1400 kpa and Standard complies with Such as 3688 dimensions and sizes. It covers diameter 1500 mm and size 50mm while its bolt size is m16 or pitch Circle diameter 114m. Table diameter is from 100mm to 110 mm. Copper Socket weld flanges, ASME SB62 Copper Blind flanges, Copper Welding neck flanges, Copper Orifice Flanges, Copper Flanges, Copper Spectacle blind flange, Copper Flanges, ASTM B61 Copper Slip on flanges, Copper Oxygen Free High Conductivity (C10100/C10200) flanges, Copper Forged flanges, RoHS-compliant Alloy Ring type joint flange, Copper Flanges Supplier. These are the whole details of mentioned above flanges. We provide such details so that our customers can choose according to their needs and know what kind of product is this. It is used for commercial purposes too. At the top, plumbers use it to repair so many things and fix in certain machines. The flanges are corrosion resistance and therefore they are used in water places. It is specified by national standards, so that it may suitable for our needs. The label of original and certification product are tagged on the box in which it is crammed. 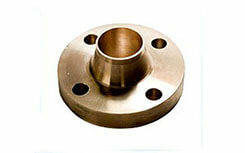 Copper flanges can be purchased from low to high amount of quantity as well. Copper UNS C12200 Slip On Flanges, AISI Slip On Flanges, DIN 16.5 Slip On Flanges, ASME Slip On Flanges, Copper Slip On Flanges, Forged Slip On Flanges, ASTM B61 Copper Slip On Flanges, Copper DIN Slip On Flanges, Copper C12200 Slip On Flanges. 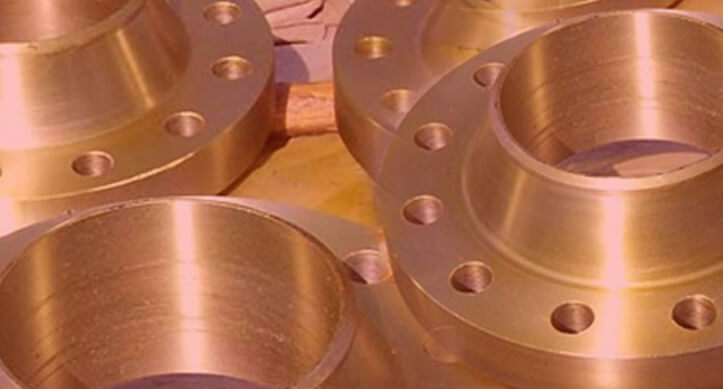 Copper Weld Neck Flanges, ASTM B61 Copper Weld Neck Flanges, Copper Weld Neck Flanges, Copper DIN Weld Neck Flanges, Copper UNS C12200 Weld Neck Flanges, AISI Weld Neck Flanges, Copper C12200 Weld Neck Flanges. ASTM B61 Copper Blind Flanges, DIN 16.5 Blind Flanges, AISI Blind Flanges, Copper Blind Flanges, ASME Copper Blind Flanges, Blind Flanges, Copper UNS C12200 Blind Flanges, Copper DIN Blind Flanges, Copper C12200 Blind Flanges. ASME Copper Socket Weld Flanges, Copper UNS C12200 Socket Weld Flanges, AISI 16.5 Alloy Socket Weld Flanges, ASTM B61 Copper Socket Weld Flanges, Copper DIN Socket Weld Flanges, Copper Socket Weld Flanges, C12200 Copper Socket Weld Flanges. Copper C12200 Flanges are manufactured and controlled to international standards such as ASTM, ASME, BS, MSS, EN, DIN or WERKSTOFFE. Our products undergo stringent quality tests before they are dispatched. Serbia, Libya, Denmark, Vietnam, Japan, Brazil, Mongolia, Czech Republic, Pakistan, Lebanon, Taiwan, Belgium, United States, China, Switzerland, Sweden, Chile, Afghanistan, Israel, Lithuania, Austria, Oman, Bolivia, New Zealand, Ecuador, Iran, Estonia, Qatar, Bhutan, Australia, Hungary, Sri Lanka, Turkey, Costa Rica, South Africa, Trinidad & Tobago,Tunisia, Egypt, Puerto Rico, Greece, Azerbaijan, Ukraine, Colombia, Poland, Argentina, Italy, South Korea, Croatia, Belarus, United Kingdom, Poland, Iraq, Singapore, Netherlands, Nigeria, Zimbabwe, Malaysia, Nigeria, Germany, Jordan, Ireland, Mexico, Canada, Spain, Philippines, Kuwait, Russia, Angola, Norway, Yemen, Nepal, Finland, Gabon, Macau, Bulgaria, Peru, India, Algeria, Bahrain, Tibet, Slovakia, Ghana, Portugal, Bangladesh, Romania, Venezuela, Saudi Arabia, Gambia, Kazakhstan, Iran, Indonesia, Thailand, Chile, Mexico, France, Hong Kong, Namibia, Kenya, United Arab Emirates, Morocco. Chennai(Tamil Nadu), Haryana(india), Chandigarh(Punjab), Ludhiana(Punjab), Faridabad(Haryana), Indore(Madhya Pradesh), Gurgaon(Haryana), Mumbai (maharashtra), Pune(Maharashtra), Ahmedabad(Gujarat), New Delhi, Navi Mumbai(Maharashtra), Thane(Maharashtra), Pimpri-Chinchwad(maharashtra), Bhopal(india), Rajkot(Gujarat), Kolkata(West Bengal), Howrah(West Bengal), Bengaluru(Karnataka), Coimbatore (Tamil Nadu), Surat(Gujarat), Thiruvananthapuram(Kerala), Visakhapatnam(Andhra Pradesh), Vadodara(Gujarat), Ernakulam(Kerala), Hyderabad(Andhra Pradesh), Secunderabad(Hyderabad), Noida(Uttar Pradesh).